When you suffer a broken bone, or undergo a surgery because of an accident, when you get to trial, you have loads of visual information to show a jury. X-rays, MRIs or scars on your body all help show a jury what you have endured, so they can properly evaluate your damages. But brain injuries resulting in cognitive dysfunction are more difficult to prove, particularly if a brain scan is normal. So, how do you prove your case then? Unlike many other injuries, a traumatic brain injury (TBI) can be slow to develop, meaning that scans or tests done in a hospital immediately after an accident may document a concussion or head trauma, but not a long-term TBI. Even a Glasgow coma score (not done just for those in a coma) may not immediately indicate the severity of a head injury. Jurors expect to see a fractured skull, a brain bleed, or loss of consciousness, but these do not need to be present for TBI to exist. Any trauma that shakes the head, from a fall to a rear-end car accident, can be enough. Providing the extent of damages in a TBI case requires painting a picture to the jury of the victim’s life before and after, and taking a jury through the progression of problems the victim has suffered. Subtle things like irritability, forgetfulness, altered sleep patterns, anxiety or anger management problems must be conveyed by testimony of persons who live or work closely with the victim. This is necessary particularly in where the victim is reticent to admit (or even recognize) that he or she is suffering from TBI. Our society’s stigma with depression or other mental illnesses can be a roadblock to people fully describing to a jury what they are experiencing. 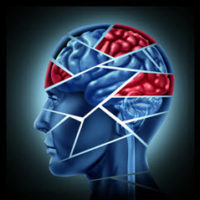 An expert who treats TBI, typically a neurologist, may need to testify as to details of the victim’s life, and of extended medical visits to prove the permanency of the changes to the victim’s life and cognitive abilities. The insurance company’s attorneys will try to minimize the plaintiff’s symptoms or attribute them to pre-existing psychiatric issues or a non-traumatic degenerative condition like Parkinson’s or Alzheimer’s Diseases. It’s your lawyer’s job to overcome jurors’ preconceived notions and the insurance company’s tricks, and impart how serious a brain injury can be to the life of a victim. Make sure a jury understands how your injuries have affected you. Contact the Celeste Law Firm in West Palm Beach today for a free consultation to discuss any accident that you may have been involved in.